I recently read an article in a magazine for the vending industry in which the author encouraged vending machine operators to use cashless methods of payment. I am sure this will be the way to go in the near future, but at this point cash is still king. We have hundreds of machines in the Silicon Valley, the capital of technology, and our customers still prefer cash. Most of our products cost between $1-$2, and the majority of our customers do not use their credit card or smart phone to pay for them. Plus, in order for us to accept credit card payments, we need to invest in more equipment and we need to pay bank fees, and this forces us to increase our prices. Based on our experience, only 5%-10% of the people use credit cards. Increasing the prices to benefit 5%-10% seems unfair to the other 90%-95%, plus our sales decrease when we raise the prices. One thing we do to make it easier for those who do not have coins or $1’s, is to make our machines accept $5’s and even $10’s. Some of our machines also work as bill changers, which means that you do not have to buy something to break a bill. We Now Service Mountain View, California! We are happy to announce that we now service Mountain View, California. In 2005 we started offering our vending machine services in Watsonville, Santa Cruz, and Salinas, and we now service all areas from Mountain View to Carmel, including San Jose, Santa Clara, Santa Cruz, Watsonville, and Monterey areas, including Alviso, Aptos, Campbell, Capitola, Carmel, Castroville, Cupertino, Felton, Gilroy, Gonzalez, Hollister, Los Gatos, Marina, Morgan Hill, Moss Landing, Pacific Grove, Prunedale, Salinas, Scotts Valley, Seaside, Soquel, Soledad, Sunnyvale, Mountain View, and all other suburbs in the Santa Cruz, Santa Clara, Monterey, and San Benito Counties. When talking to prospective customer I always get asked if we require a contract, and the answer is always the same; no. We have been in business for nearly 10 years and we have never asked our customers to sign a contract for traditional vending machine services. I do not see the need for them. Our agreements are at will and either party can terminate it at any point with a courtesy 30-day notice. Many of these prospective customers want a new vendor, but they cannot make the change because of the contract. My advise is not to sign a contract. I believe that you should do business with a vending machine company because you are happy with the services and not because a contract forces you to do business with them. Welcome to our blog! We hope that you like it and find the information posted here useful. 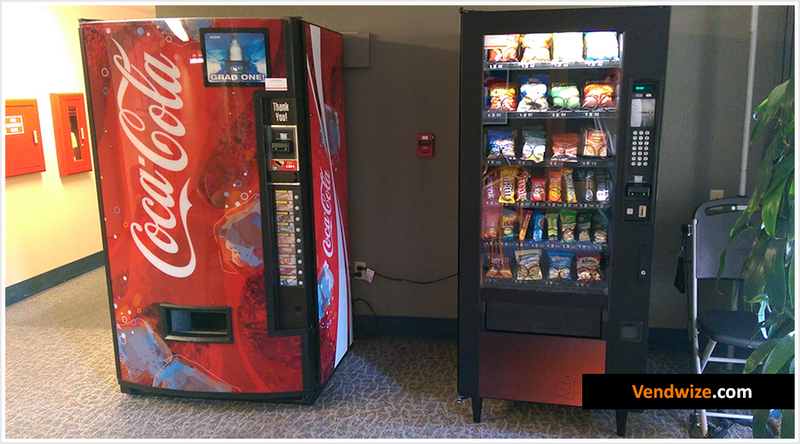 We have created this blog to post some of our activities and announcements related to the vending machine industry. We encourage you to post comments. If you have questions about us, please contact us or check our frequently asked questions page. If you would like us to post about a specific topic, please let us know. We also invite you to stay connected with us via Facebook and Twitter.